SELLER IS EXTREMELY MOTIVATED! PRICE JUST REDUCED!! This home would make a great investment opportunity as the home currently set up with lower level in-law suite with its own kitchen, bedroom and bath! Main level offers large (newly carpeted) living room, new flooring and paint in kitchen, 2 bedrooms, bath and an 8'x 24' deck off back door. 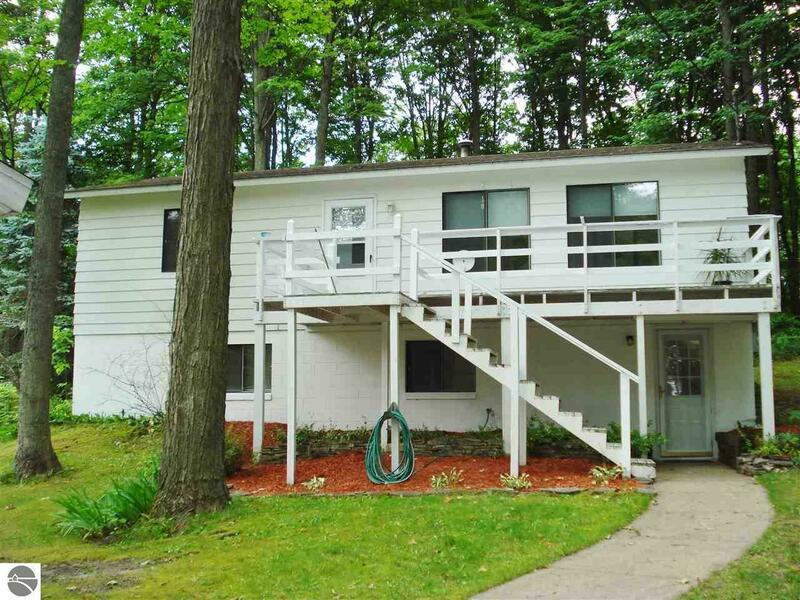 Being located just north of Clam Lake, marinas, boat launch and public access site are very close all with a secluded setting and seasonal views of Torch Lake.